This fine merino, silk and bamoo yarn has a lovely drape and features 348 yards in a skein! 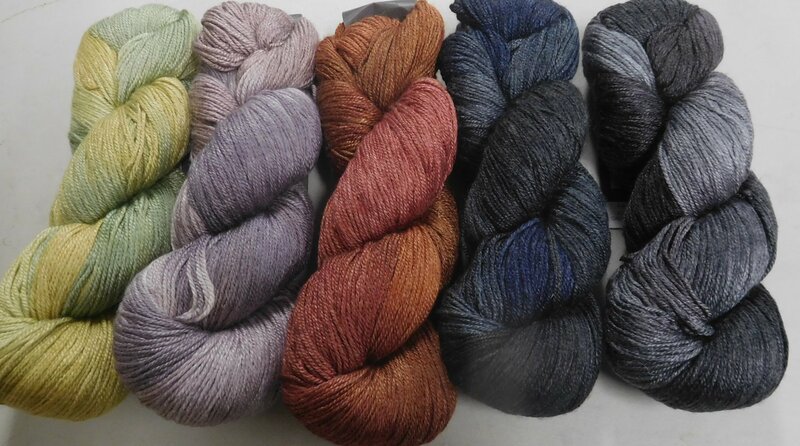 Several colors are still on backorder, but these 5 to start with. 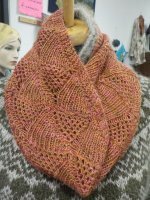 Perfect for a lovely shawl or scarf. 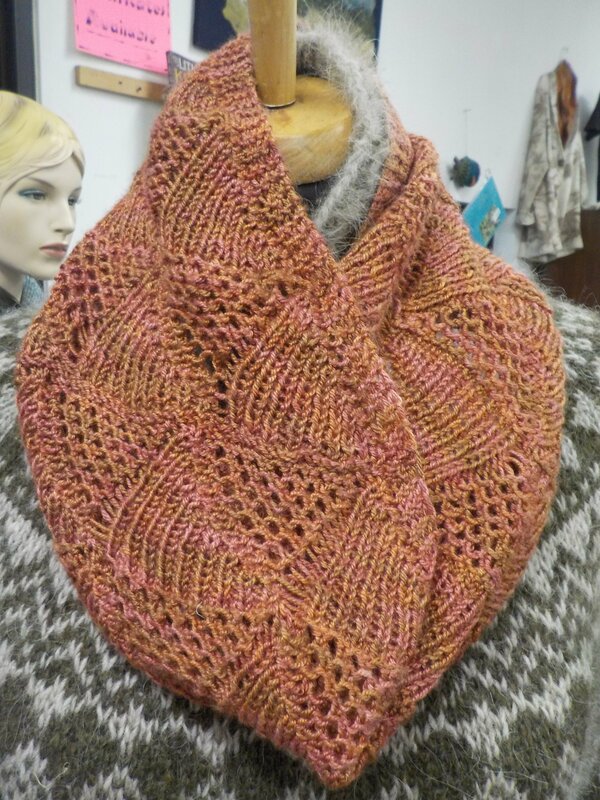 The cowl shown below (pattern called Lissome on Ravelry) took just 1 skein. 6 sts/inch on US 4 recommended for a sweater type of fabric - for a shawl you could go up a needles size or maybe two.